Here are some choice ways to get your rate lower and save yourself some money on NJPAIP Insurance. Inquire about discounts (such as multi-car, airbags, anti-theft device, etc.) and/or surcharges the company applies. All companies will not offer the same type of plans, nor have the same underwriting rules (eligibility/acceptability guidelines). Therefore, it is critical to ask for this information. Make sure you know the length of the policy term. This can be one month, six months (semi-annual) or one year (annual), depending on the insurance company. Many companies have their own payment (installment) plans which allow you to pay the premium over a period of time for a service fee. If you decide to buy a policy on an installment plan, find out the applicable finance or service charges. If you use a premium finance company to pay for your insurance, the monthly payments may be easier, but the total of payments will be larger. Moreover, if the policy is cancelled, the insurance company must remit all return premiums to the finance company, who will apply them to your account and refund any money owed to you. Check to see if you are responsible for paying any up front fees. Sometimes insurance companies charge policy issuance fees. Once the policy is issued, this fee is generally fully earned. If the policy is canceled later, the fee will not be returned. Ask about higher deductibles. By requesting higher deductibles on comprehensive and collision coverage, you can lower your costs. However, remember that the deductible you choose is what you are responsible for paying up front in the event you file a claim against your automobile insurance policy. Should you drop comprehensive and/or collision coverage on an older car? It may not be cost-effective to have comprehensive or collision coverage on cars worth less than $1,000 because any claim you make would not substantially exceed the annual premium cost and deductible amounts. A broker’s fee must be agreed upon in advance. If you choose a broker to place your coverage, ask about the broker’s fees. These fees should be disclosed and agreed upon before finalizing the insurance transaction. Remember, broker’s fees are in writing, not filed with the state, and are fully negotiable. If the policy is canceled for any reason, the broker’s fee is generally not refunded. Review the territorial provisions of your policy with respect to driving in Canada and Mexico. Generally, if you are involved in an accident in Mexico, you are subject to Mexican legal requirements. Therefore, it is strongly recommended that Mexican insurance be purchased prior to entering that country. Some issued policies do extend limited physical damage (comprehensive and collision) coverage on vehicles for a limited distance while operating in Mexico. Most automobile insurance policies provide coverage for other licensed drivers to drive your vehicle on an occasional basis. As coverage can extend differently to you as compared with an occasional driver, it is critical to read and understand your policy terms and provisions before allowing others to drive your vehicle. Check with your NJPAIP Certified Producer/agent/broker or company for the details. It is a common practice for insurance companies to exclude a driver from your policy for a variety of legitimate reasons under the law. Such driver exclusions must be stated in the policy or by endorsement. Your coverage is not valid while a specifically excluded driver is allowed to drive your vehicle. Be aware of all policy driver restrictions. If you anticipate acquiring a new, replacement, or additional vehicle, contact your agent/broker or company prior to taking possession. It is necessary to determine what coverage will be extended and what coverage will have to be added to your existing policy. If the new vehicle is financed, also check with the lender for their insurance requirements. When renting a vehicle, the automobile rental companies hold the renter responsible under the rental agreement for damage to their vehicle. They normally offer a Damage Waiver at an additional cost. This is not insurance, but a contractual agreement between the renter and rental company. Therefore, if a waiver is not purchased, review your own automobile policy to determine if any extension of coverage applies. Also, determine how the liability coverage afforded by your policy applies in the event you are at fault in an accident with the rented vehicle. Personal effects and equipment such as cellular telephones, compact discs, tape players, and recorders that are not permanently installed in the vehicle by the manufacturer generally are not covered, unless specifically declared and added to the policy. 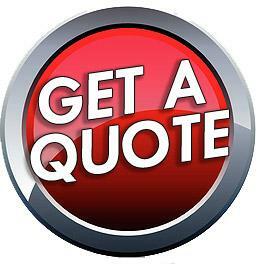 Get a NJPAIP Car Insurance Quote and apply some savings.